It's the most wonderful time of the year (in my opinion)- autumn! 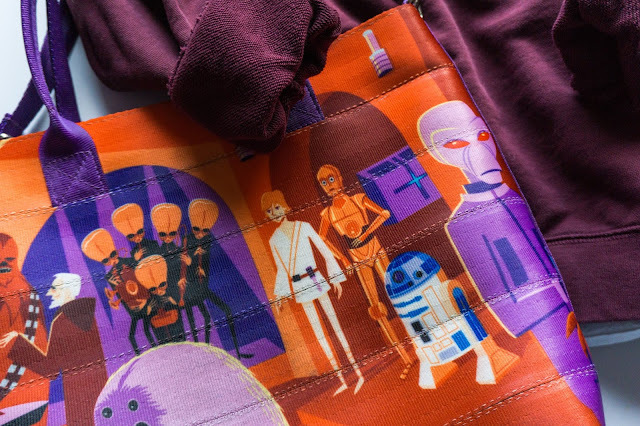 Along with my favorite season comes a new Style Wars fashion face-off. 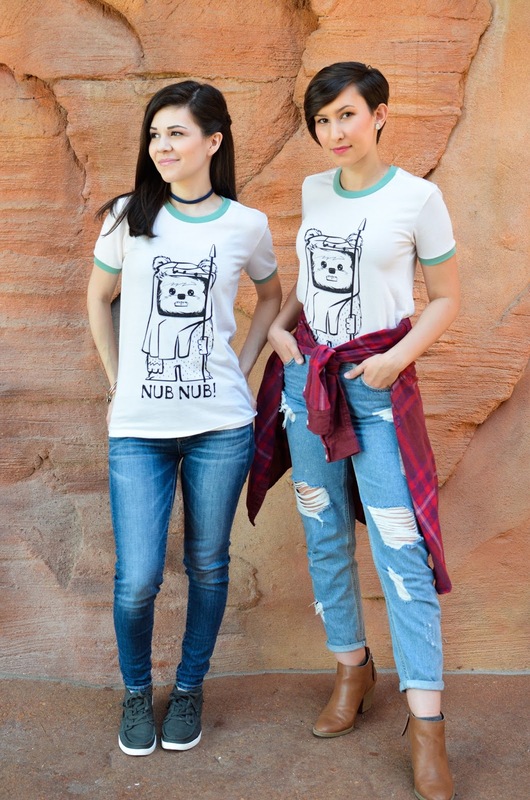 This month Jenmarie and I decided to style one of the most adorable tees we've ever seen, the Nub Nub top from Her Universe. 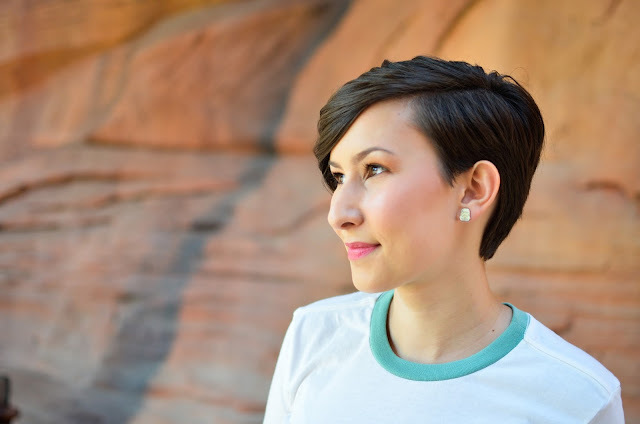 Jenmarie recently got an annual pass to the Disneyland parks so of course we decided to do our photoshoot in Disneyland! To her amusement, I suggested that we take pictures in Frontierland because hey, both Ewoks and the Frontier are "wildernessy"...yes, that is a word now. Ironically, the place that had the best lighting and background for photos was the new entrance to Star Wars Land aka Galaxy's Edge. Of course it doesn't open until 2019, but it was pretty cool to take these photos right outside the gate of our new home. 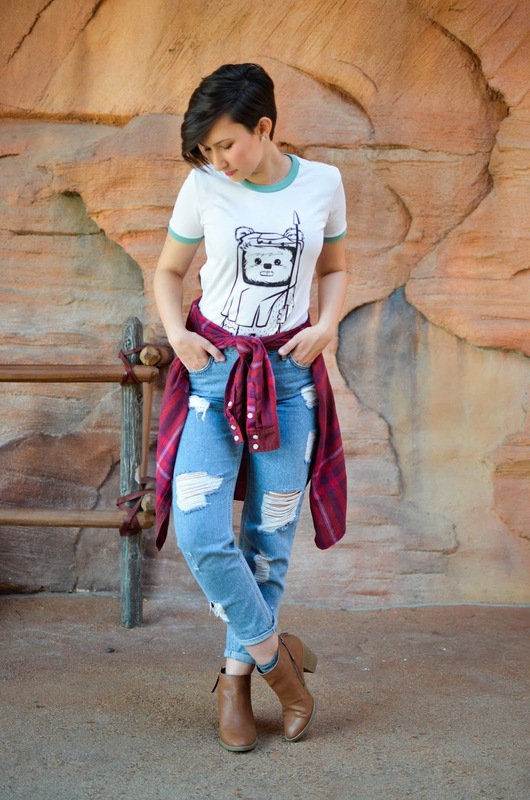 This tee has more of a boyfriend fit. Looser body, with not much shape to the top, and ringer details around the sleeves and neckline in emerald green. 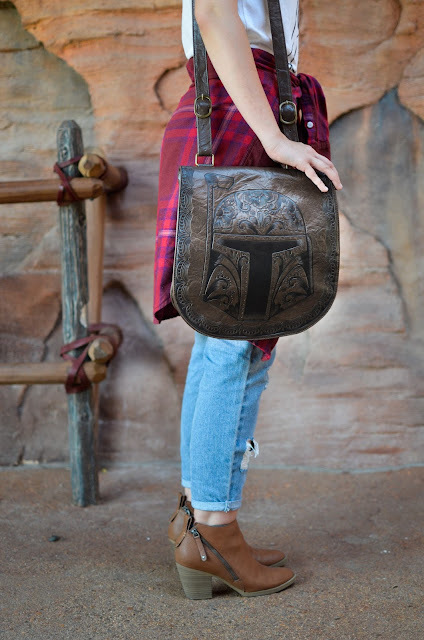 I decided to let Return of the Jedi be my inspiration for the overall look by pairing my Ewok shirt with Stormtrooper earrings and a Boba Fett bag. 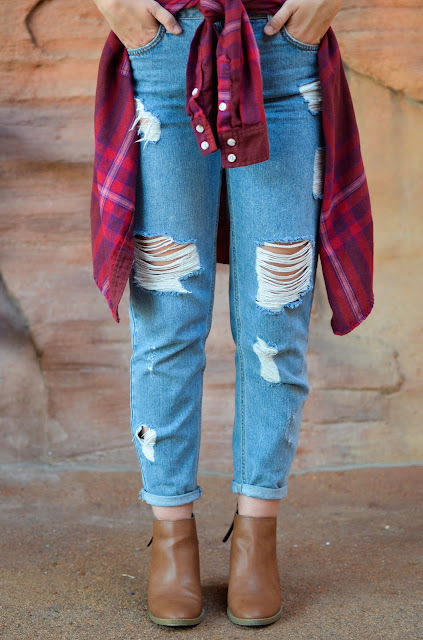 Since it's fall, I wrapped a red flannel around my waist in case it got chilly during the day (newsflash, it's never cold at Disneyland so I didn't need it) and wore a distressed pair of denim. While they weren't the most comfortable idea to top off the look, I wanted a little lift to this outfit so I wore my favorite brown leather booties. You can see how Jenmarie styled this shirt by clicking here! 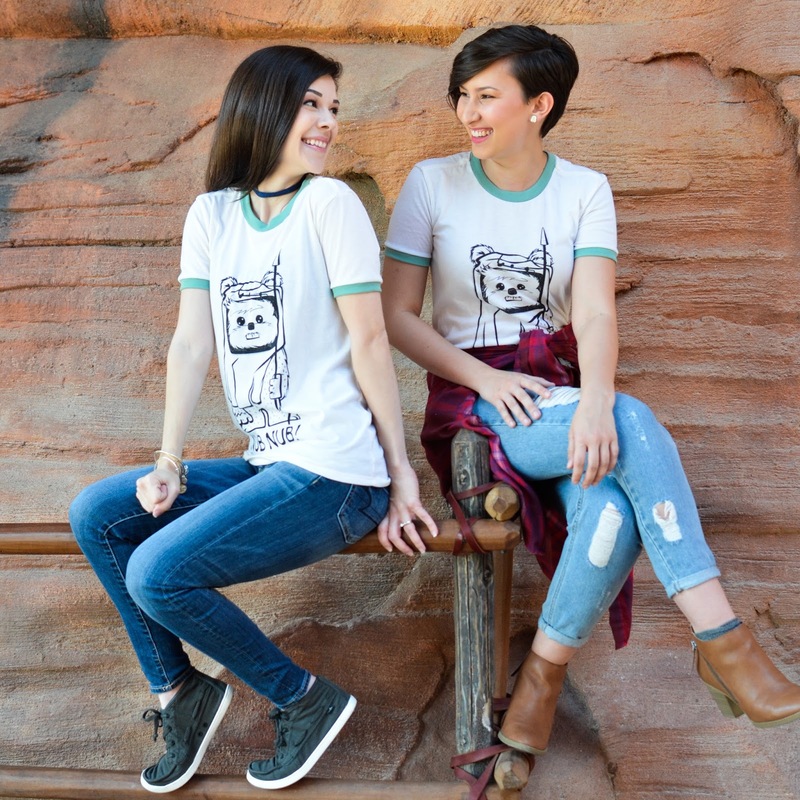 How would you style this Ewok tee? 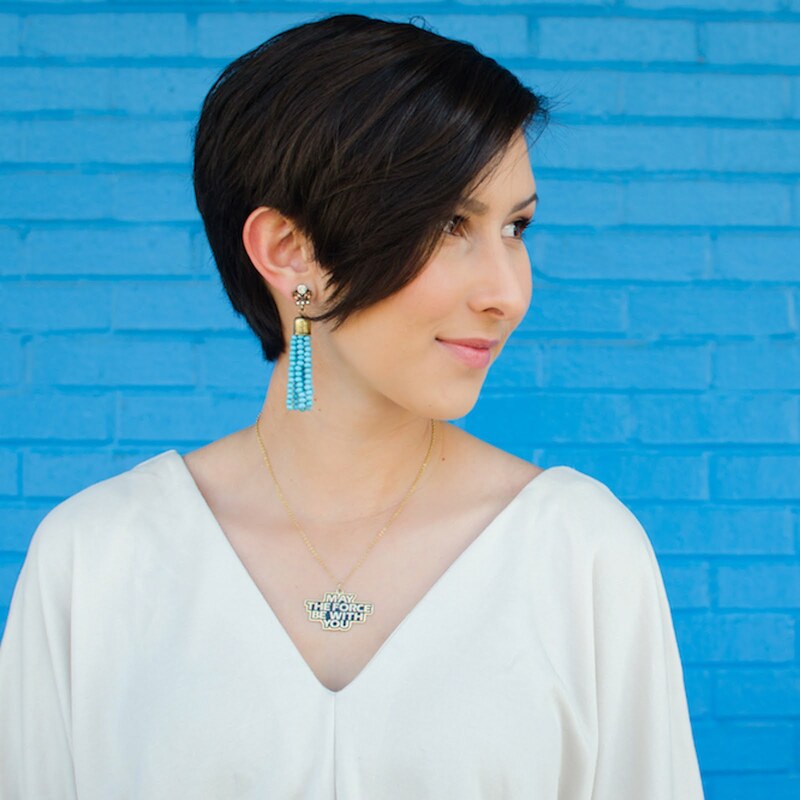 Leave a comment below and stay tuned for more Style Wars next season! 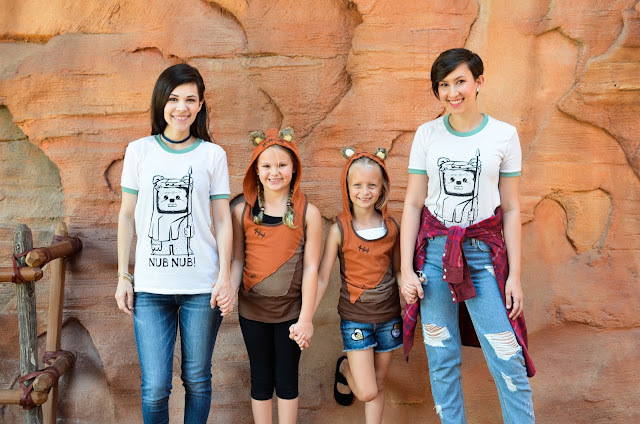 Extra special thanks to our sweet friend Danielle for taking our photos together and shout-out to Sloane and Presley for rocking their cutest Ewok outfits too. I just love these kids!